What a great truth, that we don’t lack any spiritual gift! So much to be thankful for! God bless you, Patricia! 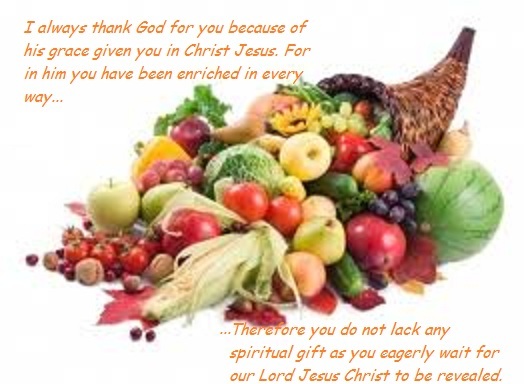 It seems we are encouraged to “find” our spiritual gift and made to forget that we get them all. True, we have a special helping of some but we must not forget the ones that are hiding within us.